Is a book always a book? Here’s a question: Is a book always a book? If you’re an entrepreneur writing a how-to book for your clients, the answer might well be no. Copyright © 2014 - 2019 Green Goose Freelance Writing. All rights reserved. Green Goose Freelance Writing is the registered business name doing business as (DBA) Green Goose Ghostwriting. Registered business, BN# 75556 6320 BC0001. Read my honest review of Make It Work Online here. 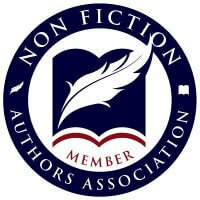 Member of the Association of Ghostwriters and the Non-Fiction Authors Association.